Ethiopian Airlines, the largest airline in Africa, has finalized preparations to commence flights to Dublin and Los Angeles starting from June 2015. Ethiopian flights to Dublin and Los Angeles will be operated three times a week with the ultra-modern Boeing 787 Dreamliner, which offers unparalleled on-board comfort to passengers. The flights will be the only direct service connecting Africa with Ireland and the West Coast of the United States. Travelers from Los Angeles and Ireland will be able to enjoy seamless and convenient connectivity options thanks to the extensive Ethiopian Airlines network covering 49 destinations. Similarly, as the flights will be the only direct service between Dublin and Los Angeles, travelers between the two cities will greatly benefit from the opening of the route. “In line with our Vision 2025 strategic roadmap, we are expanding our network and deploying the most technologically advanced aircraft as part of our commitment to our customers to provide them the best possible travel experience and connectivity options. Our flights to Dublin and Los Angeles will be operated with the B787 Dreamliner, which offers unmatched on-board comfort through unique features such as greatly reduced noise, higher cabin air humidity, the biggest windows in the sky and spacious cabin interior, making this long-haul route more comfortable for our passengers,” Gebremariam continued. With the addition of Dublin, the airline’s 11th European city, and Los Angeles, its fourth point in the Americas, the Ethiopian Airlines international network will cover 85 destinations across five continents. 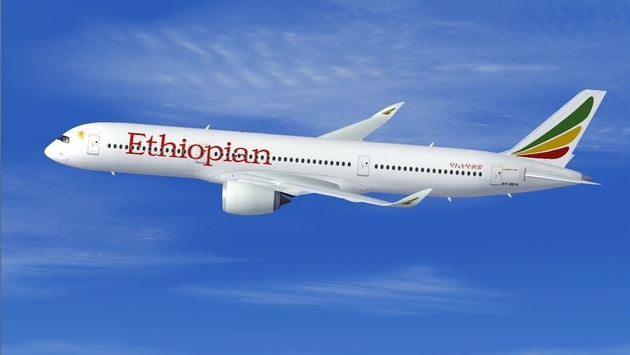 Ethiopian is a Pan-African global carrier voted by passengers as the Best in Africa for two years in a row by Passenger Choice Awards, the most comprehensive survey in the industry. The airline operates the youngest fleet in the continent, with planes an average of less than seven years in age, and currently serves 83 international destinations across five continents with over 200 daily departures.